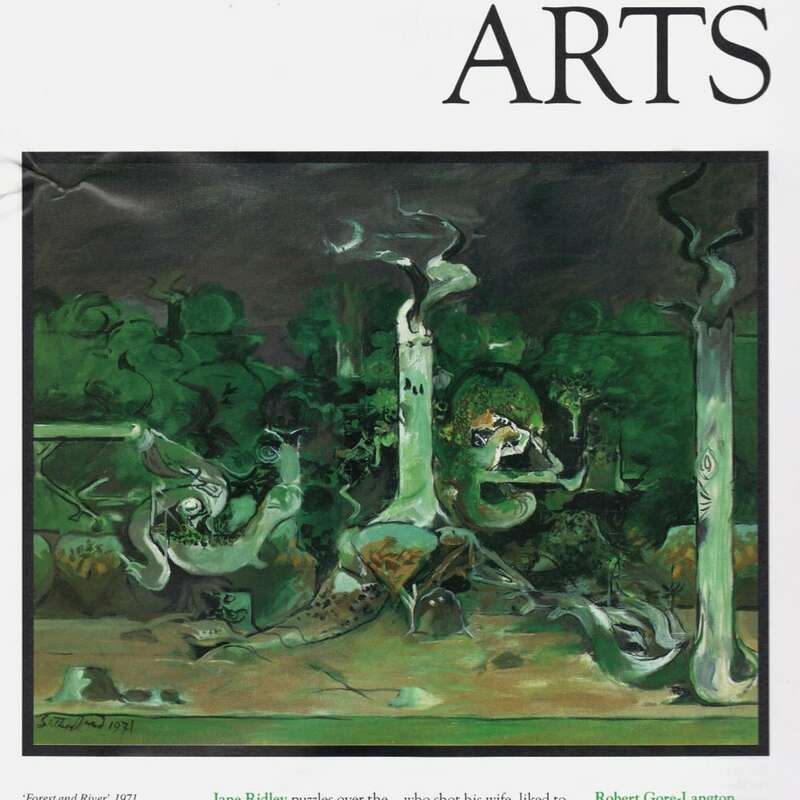 At Crane Kalman is a scaled-down version of the Graham Sutherland landscapes exhibition that showed over the summer at Abbot Hall Art Gallery in Kendal. Crane Kalman are long-time Sutherland dealers and in partnership with Abbot Hall were able to arrange some fascinating loans. 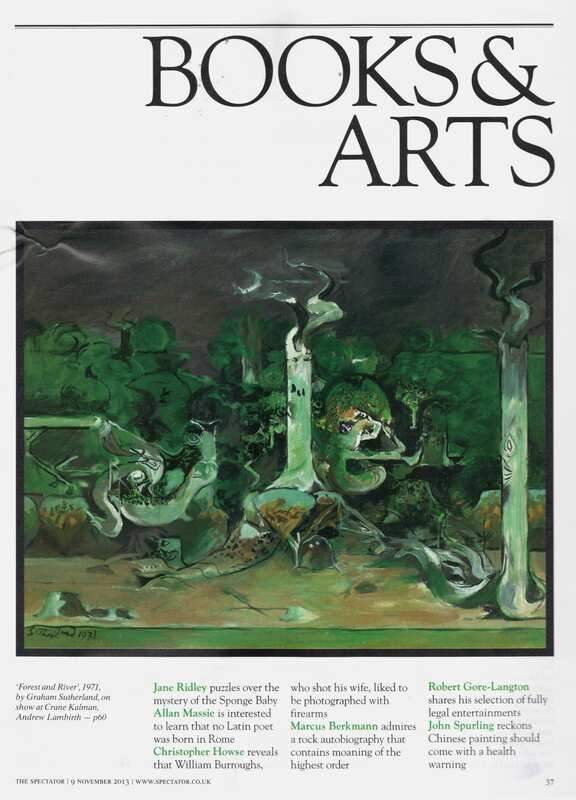 Works range from one of his finest early etchings, 'Clegyr-Boia II' (1938), to a gouache study for the 'Origins of the Land' project (1958), 'Pembrokeshire Landscape' (1960) and the peculiar but not ineffective late painting, 'Green Tree Forms' (1978), like chemical apparatus. There are some very fine early paintings, symbolic rather than descriptive in colour, almost neurotic in their emotional complexity, richly coloured paraphrases of reality, which access the hidden structures and meanings of the natural world. Notice in particular the Picasso-esque 'Red Tree' (1936), 'Landscape with Green Hill' (1939), and 'Green Tree Form' (1940), the last from the British Council Collection.